Persis was originally a name of a region near the Zagros mountains at Lake Urmia. 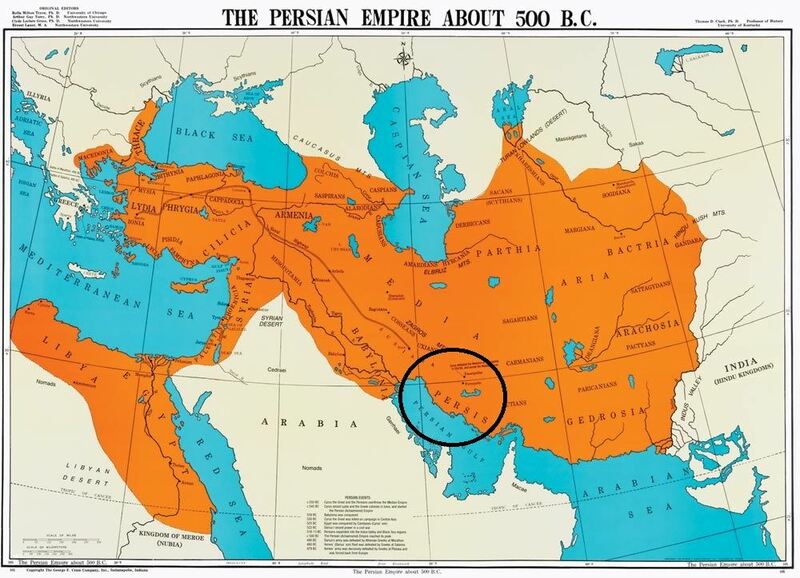 The country name Persia was derived directly from the Old Persian Parsa. Over time, the area of settlement shifted to the southwest of modern Iran. The inhabitants of Persis were considered to be the rulers of the Achaemenian Empire and were exempt from taxation. As the homeland of the Achaemenian dynasty, Persis was closely associated with the monarchy. Cyrus built his capital at Pasargadae, and about 30 miles (48 km) to the southwest Darius I founded his new capital of Parsa, known to the Greeks as Persepolis (“Persian City”). The history of Persis after the fall of the Achaemenian Empire in 330 BC is obscure. Lying apart from the main strategic and economic highways of Iran, it preserved its ancient culture, language, and religion under the Seleucids and enjoyed considerable autonomy during the Parthian period. Reverse: Fire altar and attendants.